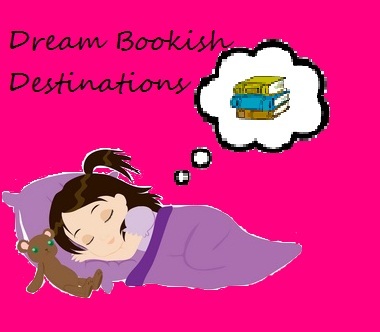 This weeks Dream Bookish destination is going to be a little different. I have interrupted my usual feature with news on the Moat Brae, the home of J M Barrie’s friends, where his world famous Peter Pan story was founded. The House was built in 1823 and belonged to Barrie’s schools friends’ family. Barrie and his two friends would play in the gardens for hours and it was their games which started of the Peter Pan adventures. The Building was a nursing home and hospital during most of the 1900s and in 1997 it was closed for good. Vandals started attacking the building and in 2009 the Peter Pan Most Brae Trust bought the property to try and save it. Since then the trust has tried to gather enough money to transform the building into a national centre for children’s literature. The development of the property is due to begin at the end of the year but they are still struggling to raise enough money, recently a call went out from Joanna Lumley to help the trust obtain the money for their vision. I think it is a wonderful thing and to see the beautiful house restored would make my day… I’m also totally going to convince my boss to let me write a piece about it for the magazine I work for, hehe! To raise the capital to restore this important building, designed by Dumfries architect Walter Newall in 1823, and bring it back into use for the benefit of the community of Dumfries and Galloway. To establish a national centre that will celebrate children’s literature across time and cultures. Anyway, the Architects have started the planning process and funding is still needed, I urge you to visit the Trust’s website and look at what they have planed, here. If you can, you can also donate a small amount to the fantastic project on their website. I was thinking about doing the Dewey readathon in aid of charity and this might be a good cause. Do they have a time limit for donations? We have a connection to JM Barrie by us. He lived in Cudlow House whilst writing Peter Pan and they have a plaque on it.